To answer the question of how to produce the perfect soft cooked egg, I started doing some research. I, came across a scientific article titled “The Science of Boiling an Egg” that answered the first two questions. 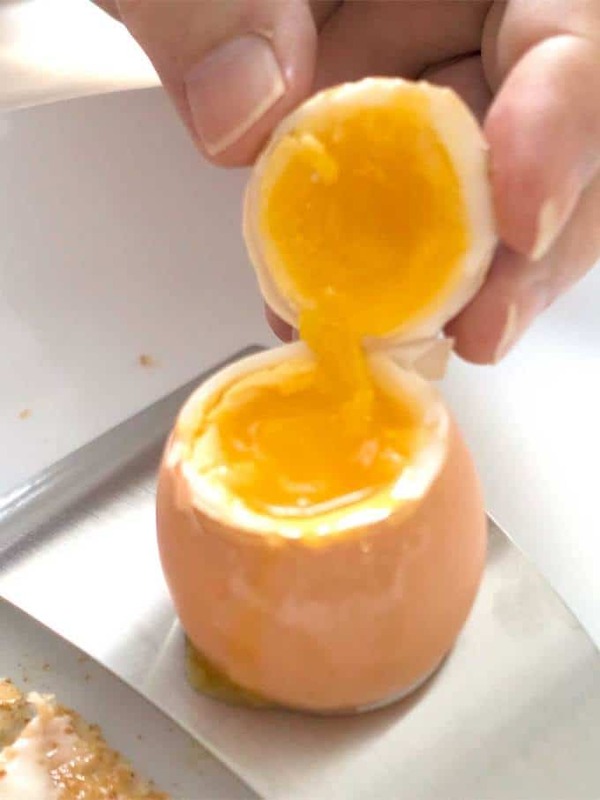 In addition, the article recommended steaming the eggs in a small amount of water rather than immersing them in boiling water. According to the article, the older the egg, the less time it takes to cook. In addition, the article derives a formula and provides a graph showing the relationship between the size of the egg and the cooking time. As one might imagine, the larger the egg, the longer the cooking time. 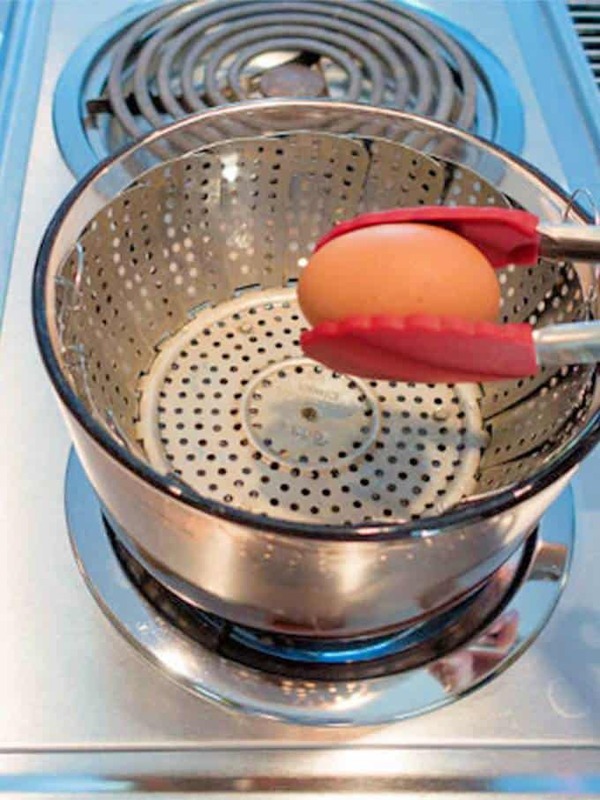 I found that using a steamer basket to cook the eggs actually produces a soft-cooked egg that is perfectly cooked on all sides. Once the water was boiling, I placed the eggs, right from the refrigerator into the pan using tongs, and covered the pan with the lid. I reduced the heat to medium and steamed the eggs as follows: 6 minutes if they weigh 2 ounces (large); 6 minutes and 20 seconds if they weigh 2.25 ounces (extra-large); and 6 minutes and 40 seconds if they weigh 2.5 ounces (jumbo). The reason that I weigh the eggs is that there is quite a bit of size variability in the eggs that I’ve bought. This is notwithstanding the USDA guidelines on size. 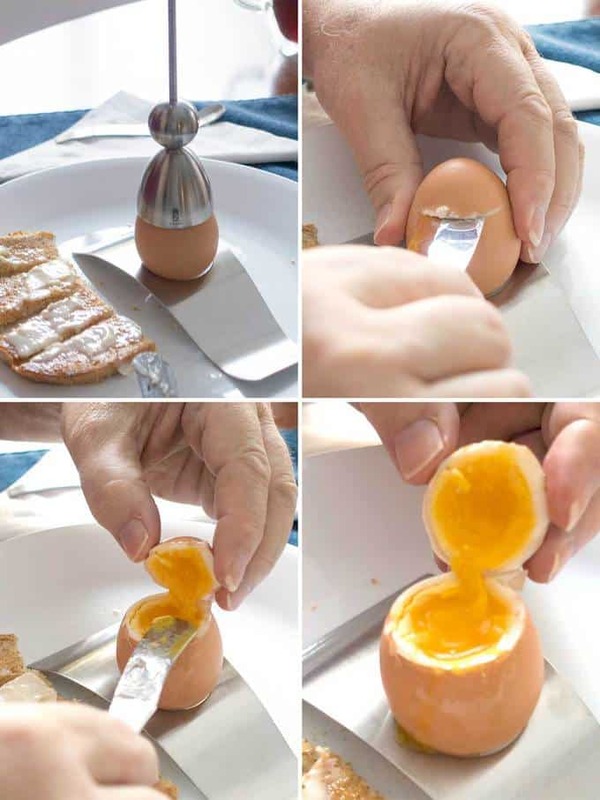 The result – perfectly cooked soft-cooked eggs. Yum!